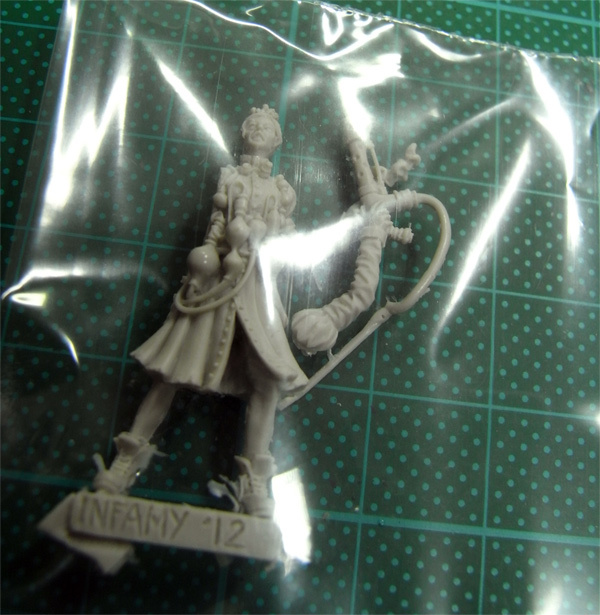 This time I am up to unpack Henrietta Jekyll from Infamy Minatures in 32 mm, sculpted by very talented Sebastian Archer. "Once a respected and famed chemist, Henrietta Jekyll's life changed the day her sister was put into a comatose state. She became obsessed with reviving her and finally brewed a cocktail of elements do do just that, but Hyde came back as a psychotic killer and Jekyll found herself on the run, with the monster she had helped create. 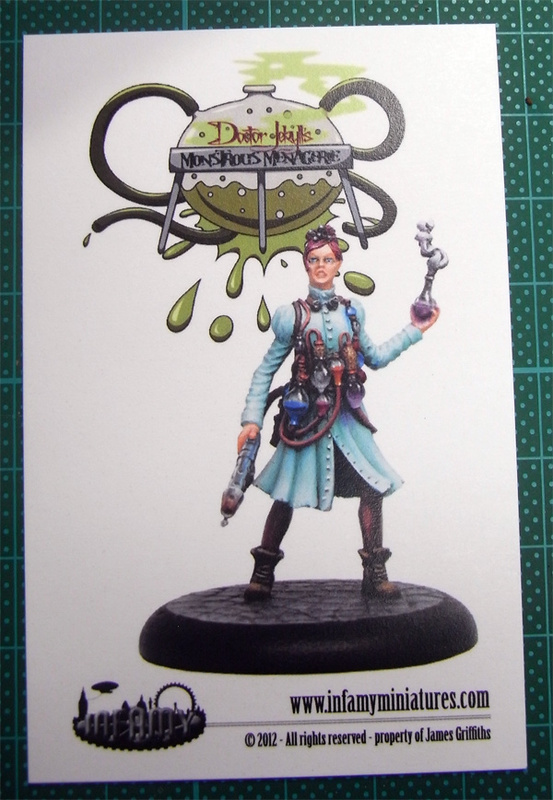 beautiful paintjob done by Stephan Rath. 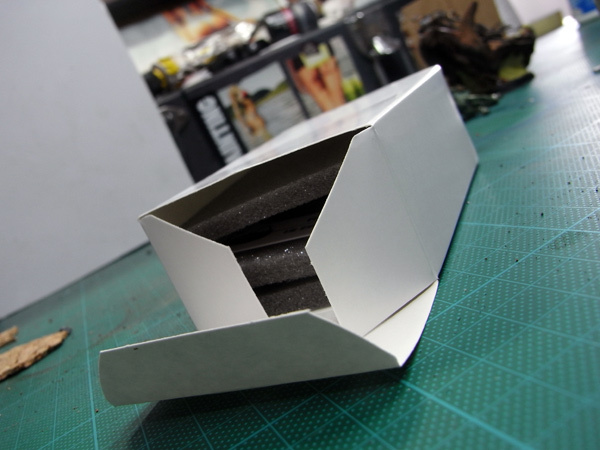 The model itself was secured by 3 layers of foam and is inside a plastic bag. A simple plastic base is also included. 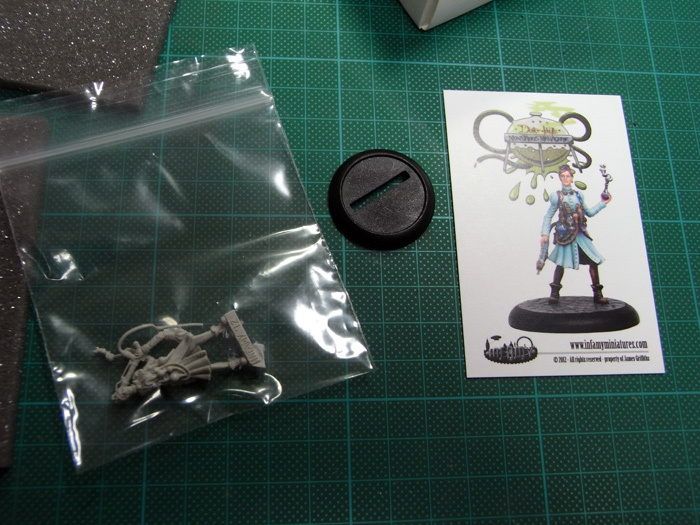 Unpacking the model it is really great to find so much lovely detail on a 32 mm sculpt. 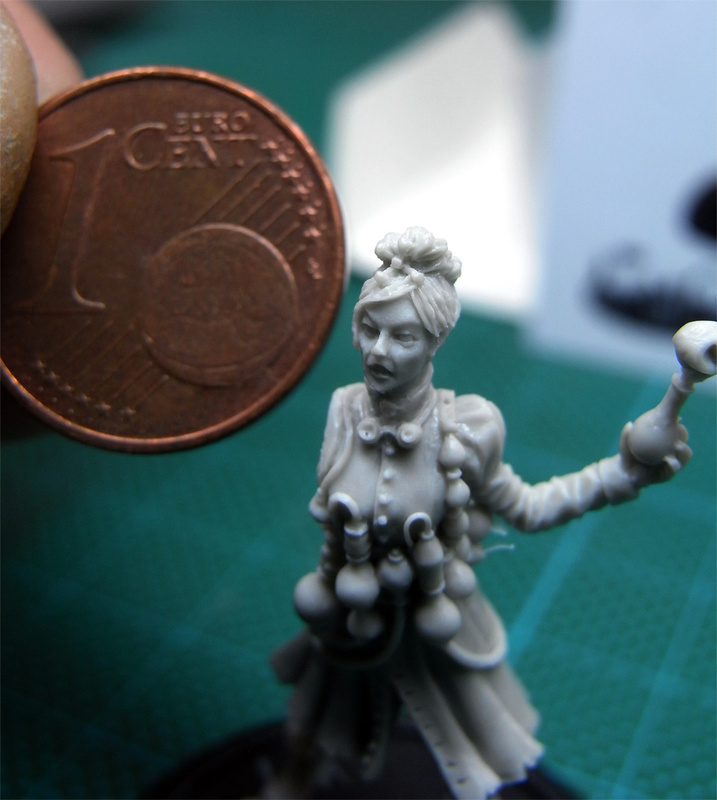 Every fan of Steampunk figures will hit a homerun with this figure I would say. Awesome sculpt by Mr. Archer. 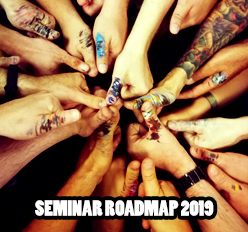 When it comes to the cast I would give 5/5 points for the upper area with the glass bottles and face is truely awesome. 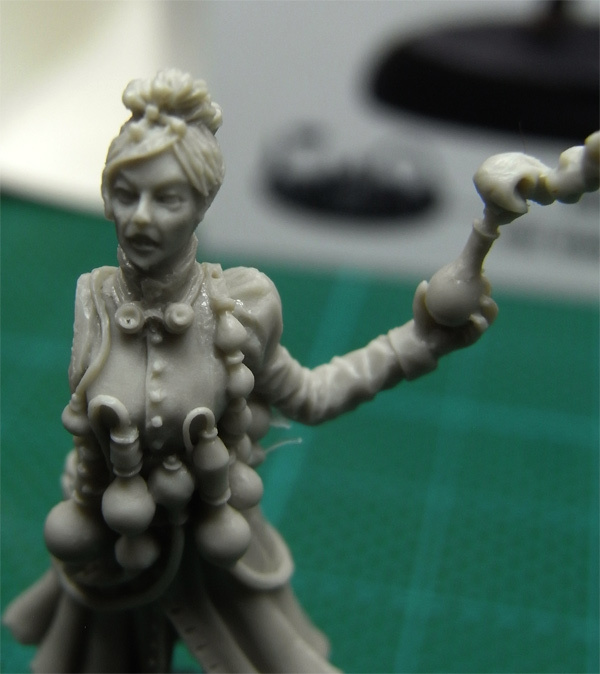 You find her right arm with a small flame thrower as a single piece to glue it in place and the fitting is also very good. 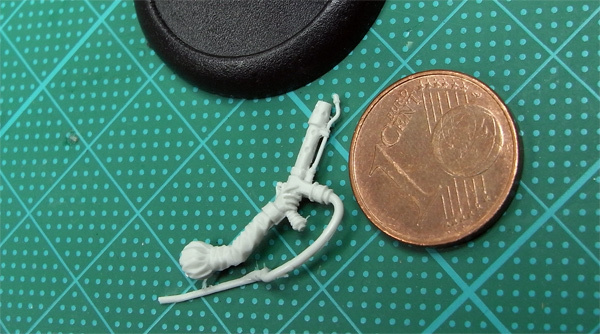 There are some small rests of the resin cast but they are killed easy with the basic tools. When it comes to the lower part, legs and feet I would give 2/5 points for the cast quality. 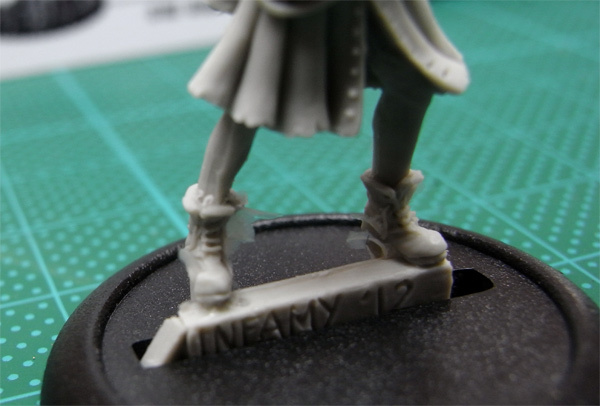 There are some minor mould lines on her skirt - they ain't the problem but when you go lower on her the great sculpted shoes and lower legs are kind of a mess when it comes to cleaning from mould lines. Maybe I did recieve a Monday cast but down there I am scared of the things I see. For sure with some patience you get it don for sure but those tiny shoes really scare me. Hope you enjoyed that little MU 22! Love the unboxing! Hopefully my copies of Watson and Holmes wont have any big issues with them.